Since 1 January 2017, the consolidated accounts of the Eurazeo group are made on Opera. Eurazeo is one of the leading European investment companies, with more than € 5 billion in diversified assets. 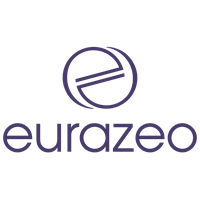 Eurazeo is listed on Euronext. Eurazeo is the majority or reference shareholder of AccorHotels, ANF Immobilier, Asmodee, Desigual, Elis, Europcar, Foncia, Fintrax, Les Petits Chaperons Rouges, les écoles Glion and Les Roches, Moncler, Neovia (formerly InVivo NSA) Novacap and also smaller companies such as IES Synergy, Prêt d'Union, Vestiaire Collective and PeopleDoc through Eurazeo Croissance and Coliseum, Dessange International , Leon de Brussels, Orolia, Françoise Saget and Linvosges.